The celebration of the 250th anniversary of Horn’s Creek Church, April 15, 2018, and its recent renovation came with rains, testing its new, red tin roof, and an outpouring of interested persons as well as members of the Edgefield County Historical Society who sponsored the event. Guest speaker was Dr. A. V. Huff, Jr., of Furman University, whose address is found, in full, below. At the very beginning, let me express my deep appreciation to Bettis Rainsford for the kind invitation to speak at this occasion marking the restoration of this historic meeting house of the Horn’s Creek Baptist Church in the two-hundred fiftieth anniversary year of its establishment. I would be amiss if I did not recall the great stewardship of Baptist history in Edgefield pioneered by Miss Hortense Woodson and Bettis Rainsford and their predecessors stretching back at least two centuries. I would be foolish indeed to pretend that I could add to the great store of sources they have meticulously gathered from so many places and woven into a story that parallels and shapes the history of the United States. My task is much more modest—to celebrate the way in which the history of Horn’s Creek Church brought together in the Southern back country some of the major themes of America’s religious history. Gathered this afternoon in what was once the wilderness of colonial America, nourished by a stream of water, we are reminded by the Gospel according to Mark that “the beginning of the good news of Jesus Christ, the Son of God” occurred with “the voice of one crying out in the wilderness” on the banks of the Jordan River two thousand years ago. It was that same good news that was proclaimed on the banks of Horn’s Creek in the South Carolina back country 250 years ago by Daniel Marshall, one of the pioneer—if often unsung—preachers of our faith. Whitefield was by far the greater orator, calling the thousands that flocked to hear him, to an intense experience of conversion. He preached outdoors to his hearers and later in specially built tabernacles in London and elsewhere. He followed the Wesleys as chaplain to the new colony of Georgia in 1738, and before his death in Massachusetts in 1770 he had crisscrossed the Atlantic thirteen times, established religious societies in Britain and America and founded an orphan house in Savannah. His preaching mesmerized his hearers. David Garrick, the London actor, said Whitefield brought tears to their eyes by pronouncing the one word “Mesopotamia.” His high-pitched, breathless style of preaching can still be heard today primarily among Pentecostal preachers across the world. According to legend, Benjamin Franklin was so moved by his preaching that he emptied his pockets when the collection was taken. The Great Awakening created its own style of singing. The Puritans of the seventeenth century had insisted only on metrical versions of the Psalms with no musical accompaniment. Now the new Pietists were writing hymns and tunes as well. Hymn and tune books became new ways of teaching the Christian faith. In South Carolina Whitefield preached in Charleston and along the coast and established religious societies in the low country. But his greatest impact on the Southern colonies came in the back country by way of two of his followers in Connecticut—the brothers-in-law Shubal Stearns and Daniel Marshall. Stearns and Marshall were devout members of Puritan churches in Windsor and Tolland, Connecticut. But once they heard Whitefield preach, they became dissatisfied with the intellectual and formal preaching and singing of the Congregationalists. In their search for the pure church, they were attracted to the fervor of Baptists first in New England and later in Virginia, but they discovered that the revivalism of Whitefield and others had divided many colonial churches into New Lights and Old Lights, into Separates and Regulars. Finally in 1754 Stearns and Marshall and their families—now identified as New Light Baptists—settled in the piedmont of North Carolina south of Greensboro near Asheboro on Sandy Creek. There they gathered a church based on Separate Baptist principles: (1) a personal conversion experience of overpowering emotions, sometimes characterized by seizures, convulsions, and weeping; (2) sermons more like harangues and chanted in the “holy whine” of George Whitefield; (3) specific worship practices, like immersion of believers, foot washing, laying on hands on the sick, exchanging the kiss of peace in worship; and allowing women to testify publicly in church alongside men; (4) in matters of dress and behavior, submission to the authority of the church, often resulting in probation or expulsion; (5) hostility toward education, especially as a requirement for ordination to the ministry. Separate Baptist churches grew rapidly in the back country. 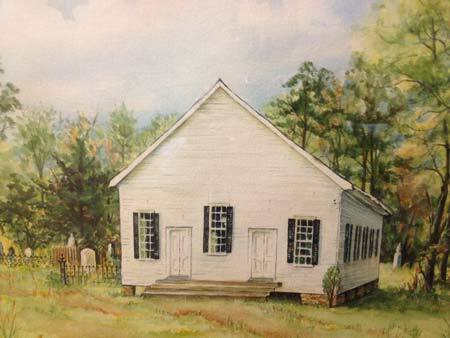 Within four years there were six churches, and they formed the Sandy Creek Association. They zealously attacked New Light Presbyterians, especially on the immorality of the clergy, on education, wealth, and wearing of expensive clothing and jewelry. Internally, Separate Baptists disagreed on the morality of slavery. As a model, George Whitefield owned a slave plantation in South Carolina to support his Bethesda Orphanage. Some others, influenced by eighteenth-century views of liberty, wrestled with freeing their slaves. Stearns and Marshall began to travel widely in North Carolina to form new Separate Churches. Such aggressive activity stirred a reaction from the Regular Baptist Churches in the South Carolina low country. They had formed the Charleston Association in 1751, primarily to support the education of young men for the ministry. When the pastor of the Welsh Neck Church in the South Carolina PeeDee refused to join Shubal Stearns in ordaining Daniel Marshall, the battle between the two groups was joined. He denounced the Separates as disorderly, allowing women to pray in public, and permitting ignorant men to preach. Marshall was eventually ordained when a third brother-in-law joined the ordination council. In 1760 Daniel Marshall moved into South Carolina, and two years later located either in the Horse Creek Valley or Horn’s Creek where he acquired land. During this period he gathered Big Steven’s Creek Church in 1762 and Horn’s Creek in 1768 in Edgefield, and Bush River near Newberry. He also began preaching across the Savannah River. After a decade in South Carolina he moved on to Georgia where he founded the Kiokee Church on the eve of the American Revolution. It became the mother church of many other churches in the region. Membership in an Association seems to have been the single most important element in maintaining the Separate identity of a church over time. At first Separate churches in South Carolina allied themselves with the Sandy Creek Association. Eventually there were efforts to establish Separate Associations, such as Congaree and Bethel in South Carolina and the Georgia Association. But as the Revolution disrupted the churches and older stalwarts, like Daniel Marshall, passed off the scene, a new generation of church life emerged. A Second Great Awakening arose along the western frontier. A new generation of leaders arose, like Richard Furman, who had been converted to the Baptist way by a Separate minister but who spent most of his pastoral ministry in a Regular church in Charleston. They began to repair the colonial division among the churches. The old Separate fervor for conversion remained, as did a second tier of less educated ministers. Revival hymns of the Second Great Awakening enlivened worship. Churches insisted on retaining supervision of the behavior of their ministers and members. But Separate practices, such as foot washing, laying on of hands of the sick, the kiss of peace, and women speaking in the churches became rare occurrences—and eventually disappeared. One Response to "An Afternoon of Celebration at Horn’s Creek"
Congratulations to all concerned with the restoration of Horns Creek church and the celebration of this milestone in back country history. My wife and I were too far away to come, but I know it was a happy occasion. Thanks for posting A. V. Huff’s address. Few if any know the story of early Baptist life in South Carolina better than he.